Our iTune Album Cover Collages will definitely “Relight your Fire”! 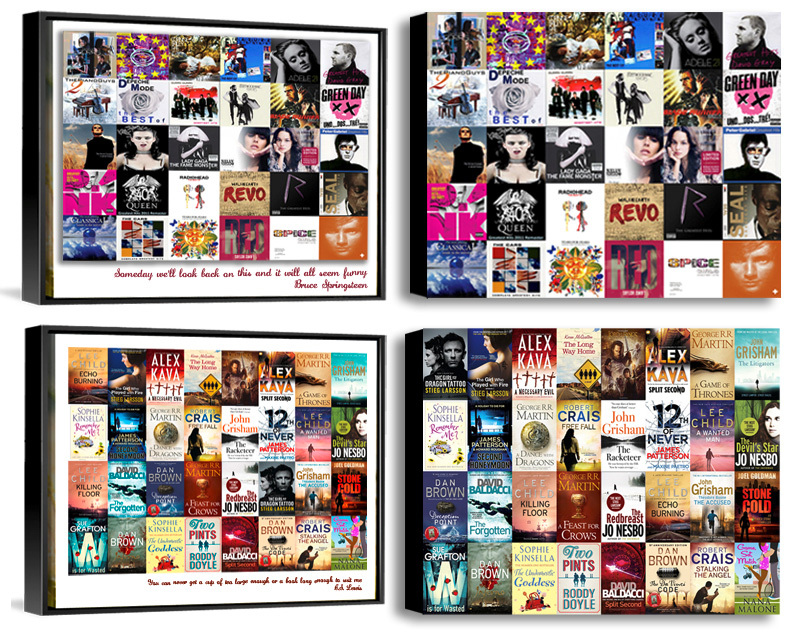 Why not create an iTunes Collage or a Book Cover Collage for your home, they make a great talking point. Add another personal touch by adding a favourite lyric or quote to your Personalised Collage. Choose your favourite albums from your collection or your favourite book covers, give them to us and we’ll do the rest. Dont forget Christmas is coming soon!